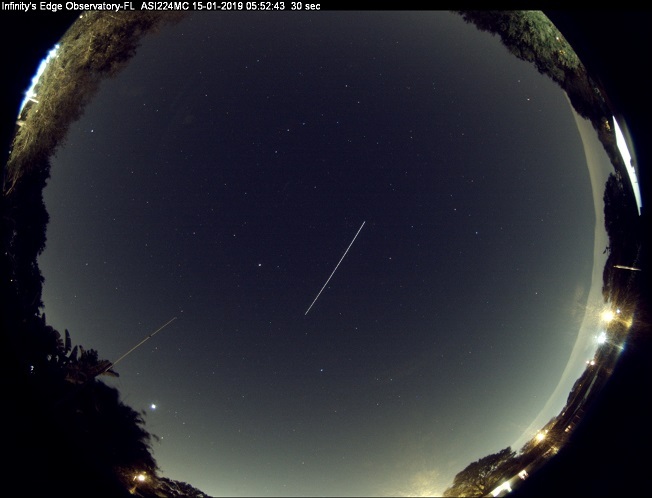 Sharing a sequence of 8 images of 30 sec exposures of the ISS traversing my night sky. The first image you can see it brightening as it comes out from the earth's shadow into sunlight. Then it eventually goes over the south-east horizon.